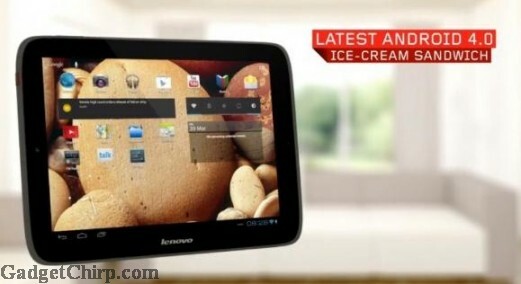 Lenovo is soon going to release a brand new Android 4.0 ICS tablet. Lenovo unveiled the IdeaTab S2109 Android tablet on their official YouTube page. As shown in the video, the IdeaTab S2109 tablet is just 8.9mm thick, having Android 4.0 ICS OS and a 9.7 inch IPS display with 1024 x 768 pixels resolution. Lenovo IdeaTab S2109 is having the 1.3MP front camera, microUSB, micro HDMI and a microSD card slot for expandable memory. It is also having four speakers in the back to give nice quality entertainment experience. The price, hardware specs and availability of the Lenovo IdeaTab S2109 is not confimed yet officially.